Digi WWWOW Awards is back! I've been supporting this annual award for 5 years now, by casting my votes to few of my blogger friends who were nominated in the past years. This year, Digi WWWOW has become more exciting but the ultimate concept remains: It is always on the lookout for aspiring individuals who make the Internet greater. Internet. Have you ever imagined how powerful the Internet is? It is home to the ones driven by an insatiable passion to create. Those gifted with the ability to heal. Those with an eagle eye for business. And it is also the Internet that makes it possible for Digi WWWOW to take YOUR ideas further! It is based on 100% user-generated entries to showcase the incredible creativity, ingenuity and entrepreneurship of ordinary Malaysians using the Internet in extraordinary ways to inspire others. I must admit that all of them are interesting but what caught my attention is the last category, Social Movement which sounds more inspiring and meaningful to me if a little contribution can help create a huge change in the society. If you have been following me on Instagram (@ohfishiee), surely you'd know I am an avid cafe hopper. I love working on my blog at different cafes every week, enjoying the relaxed atmosphere while having a good sip of coffee. Well, I must admit that we're so privileged to enjoy good food every now and then, but sometimes I'd think about this question when I'm dining: What are those less fortunate ones having for lunch and dinner? Behind the scene of how a typical food blogger (Me!) works at home. Since the trend of posting #foodporn has been growing, why not we do something for those who deserve our help? It'd be great if a collaboration among foodies and restaurants can be done, whereby every qualified food picture we post at the participating outlets, a meal will be donated to the selected charity homes in Malaysia. In this way, less people would suffer from hunger, and we'd feel even happier to buy our meals if a portion of the price is contributed to the needy. If you have awesome ideas, don't forget to share it out and hashtag #DGWWWOW! Amazing prizes are awaiting you! Each category winner not only gets RM10,000, but also a golden opportunity to attend the specially curated Digi Hangouts session where industry leaders gather and work together to elevate your businesses, platforms and social ventures. Feel free to watch "Digi #WWWOW2015 Awards. Are you the next Internet hero?" on YouTube! For more information, don't forget to visit www.wwwow.my. awesome, support ur thought to help the poories in getting their foods upon social movement! Dear WFC, thank you but unfortunately I am not one of the contestants this year, haha! wow all the best to you. So fast its another year now. Dear Sherry, yeah how fast time flies right! :) I hope you can join too! 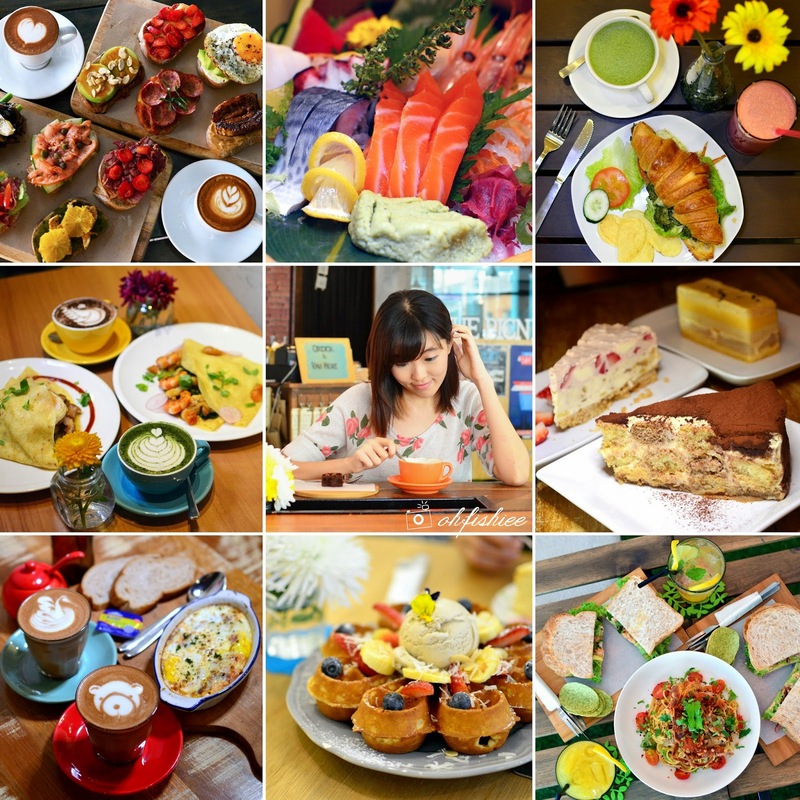 So many nice food picutres that u had taken in a year. Congrats on your achievement. The prize is very attractive.. GOod luck ya! Dear Kylie, don't hesitate haha just come and join! I love the idea of donating food. best of luck to you. By the way, unlike you, I can't work well in a cafe. Too much distractions. Hi Miera, thanks! Join me too!! Congratulations on your achievement and all the best for your future endeavour for this brilliant work. Hi Pamela! :) Thank you, and let's join together! Wish you all the best!! I love your idea!! Hi Mich, thanks you're just being too kind, dear! xo. hey great idea babe, you've got my vote there! Hi Carol, thanks babe! :D Let's join together!! Love your photos here, I also enjoy cafe environment to write my blog too or to have me time drawing 😊😉 unsure where my art passion can participate in this award or not, because there is no category for art...you can advise? Hello Sienny, thanks for your compliment, I think you can always relate arts to e-commerce or social gathering? :D For example, gather the art lovers to organize something for the society! Thank you for sharing, Fishiee! We definitely need to help more of the less fortunate. Dear Juneci, thanks for dropping by this lovely comment :D Let's work towards the meaningful goal together. This is a very meaningful activities and well done on your social movement! Keep it! Dear Cecilia, thanks and I hope it helps! win liao lo. every pic of you is a WIN. Hehe. Dear Sharon, thanks for your support! :D Let's countdown for the voting and final stages! Food for thought. LITERALLY lol. it's great for DIGI to honour website owners and bloggers in this way. hope some great sites win this round! Dear Leona, yes and you should join too! Because the prizes are real good! awww .... prize is very attractive !! Dear Sin Yee, true indeed that Digi always has plenty of surprises for us each year. Don't forget to join the awards ya!